For this week's Pagan Experience prompt, I would like to talk about Bears. Bears have a long and rich magical history, especially in association with healing magic. The Finns performed a very similar ceremony upon killing a bear to let the bear's spirit know it is well respected by the people so that it would want to reincarnate back into the forest. Afterwards the bear was eaten, its bones buried, and its skull hung high in an old pine tree called a kallohonka (skull pine). This tree is considered the world tree and by hanging the bear's skull in it, which is believed to contain the bear's soul, its soul will be delivered back to the heavens. Many other cultures also use the bear in their myths as well. The Greek goddess Artemis has a bear form for which the constellations Ursa Major and Ursa Minor are named after. The Greeks also held a festival in honor of Artemis by having two young girls (5 and 10) wear bearskin robes and perform a bear dance. 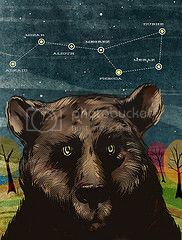 The Thracians regarded the bear as a messenger for dead ancestors while the Celtic Gaul worshiped Artio as the goddess of wildlife, who like Artemis, has a bear form. Of course they appear in all Native American cultures, representing healing, strength, grounding, and ferocity. Bears are acknowledged by many traditions as the totem animals for shamanic healers. 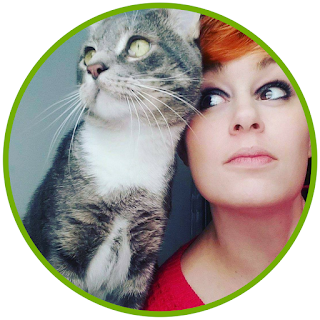 They are often summoned during healing magic and herbalism to bring focus and rest. A popular theory is that bears taught us herbal knowledge. Whenever I make herbal remedies I always think about the bear as I work. Place a bear fetish in your herbalism work area or ask them for guidance during healing rituals. Action on behalf of bears' welfare and habitat may enhance your chances of success in healing magic. To appeal to the bear spirit for guidance in healing magic, you will need a full frontal image of a bear so you are able to look directly into the bear's eye. 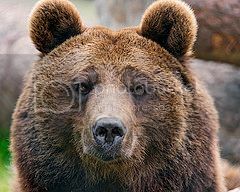 Just before going to sleep, gaze into the bear's eyes while thinking about what information you require. Take as long as you need and treat this as a meditation. When you feel ready, place the image under your pillow and go to sleep. Insights and inspiration from the bears should appear in your dreams, even if bears do not. Do you use the bear in any of your magical workings?